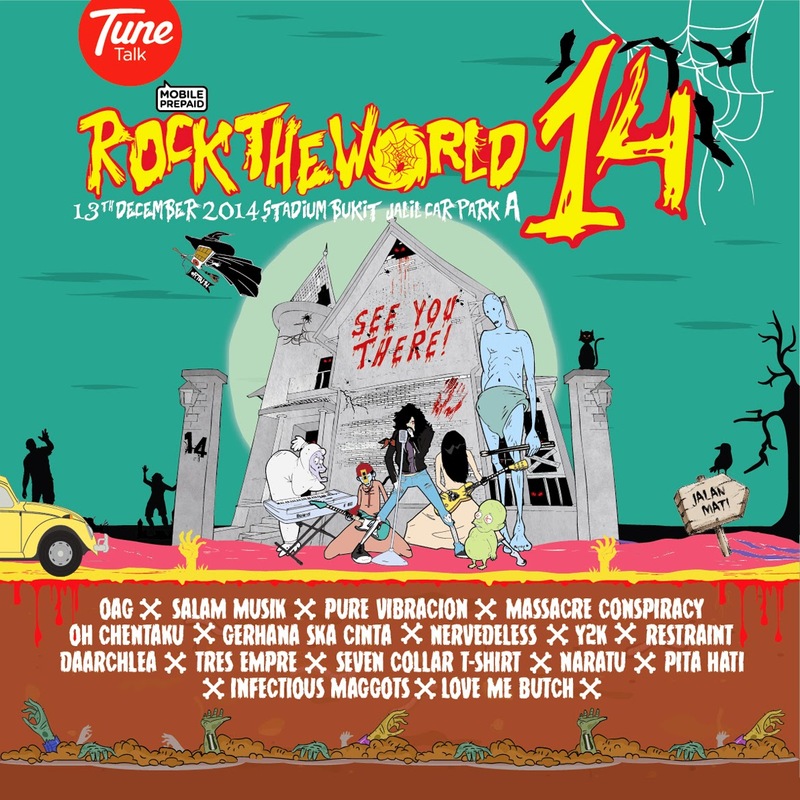 Rock The World is back !!!!!!!! 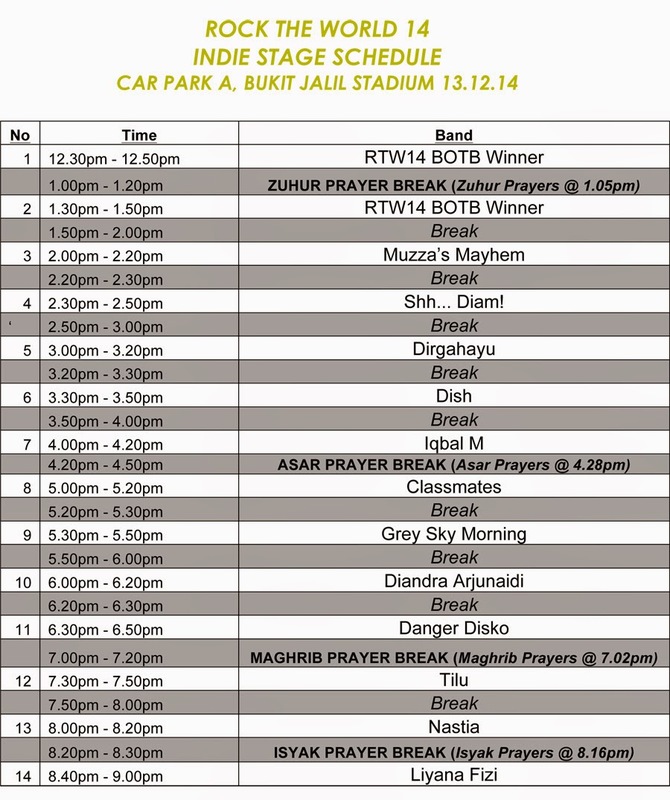 Tune Talk Mobile Prepaid Presents Rock The World 14 will bring you 48 bands with 3 stages Main Stage, Noisy Stage and Indie Stage…. Rock The World 14 has been touring to 4 states Johor Bahru, Penang, Sarawak and Kuala Lumpur for ‘Rock The World Goes Underground Tour ‘in the search for 4 talented bands to perform at Rock The World 14. Besides battle of the band, crowd was also entertained by 6 local bands which is Oh Chentaku, Massacre Conspiracy, Daarchlea, AzureforJanne, Artefacts and Seven Collar T-shirt. This year, besides having 3 stages as the main attraction, theres also RTW14 X-Park where crowd may bring their skateboards, BMX bicycle and roller blade to skate while listening to the our local heroes performances. There will also be skate competition, BMX mini jam and demonstration during this one day festival event. 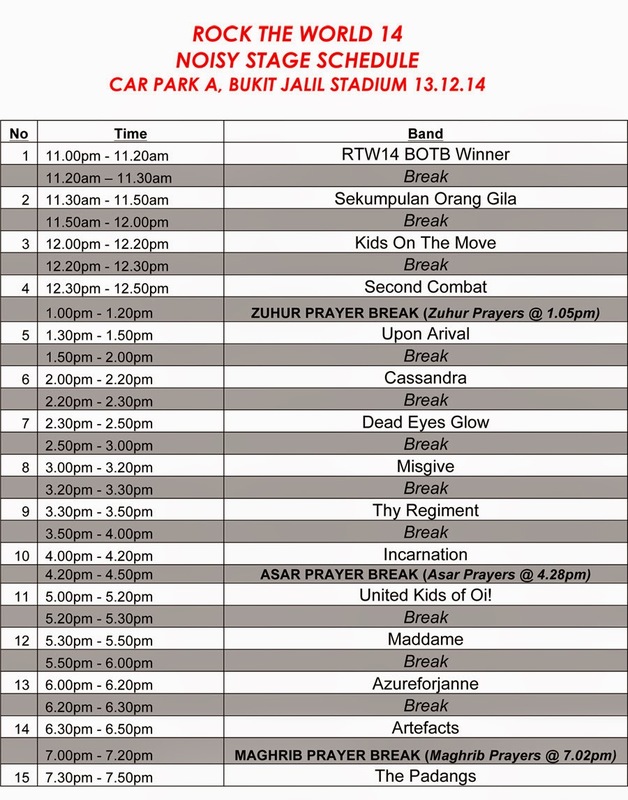 As requested by the fans, this year will be the second year for RTW14 to have our very own ‘Colour Mosh’ .Be prepared to see a colourful sky at 6pm . Up to 70 local clothing lines and 40 F&B stalls will be joining rock The World 14 crowd may also shop for their favorites local brands while having fun watching the show. check out last year ROCK THE WORLD 2013 pic here !! !